Call to Action PowerPoint templates, backgrounds Presentation slides, PPT Themes and Graphics. Call to action is an important aspect of marketing because a major portion of sales take part as an immediate response after the marketing. You can lay emphasis on the importance of the same using the PowerPoint presentations created from these professionally designed PowerPoint templates which will give your PPT a professional and corporate look. You can share examples of ideal call to action words such as ‘CALL NOW’ or ‘VISIT NEAREST STORE TODAY’. You can also include a small call to action persuasive essay which will give your team an idea on the whole concept and how to achieve maximum impact by placing the Call to Action words at the right place. You can share successful examples of best call to action examples which will give them an insight of customer’s psychology and reaction to the marketing campaign. These presentations will give you a platform to explain the difference between persuasive call to action words and call to action paper. Use these templates which have been designed on the latest designs and patterns to ensure that you have your audience’s attention when you share your views and suggestions on the same. These templates are left customizable for the user’s convenience enabling him to download and later edit the template to form the perfect PowerPoint presentation according to other aspects of the PowerPoint presentation. Our above business slide contains graphic of man showing business graph. This slide may be used for market research study. Capture the attention of your audience with this slide. 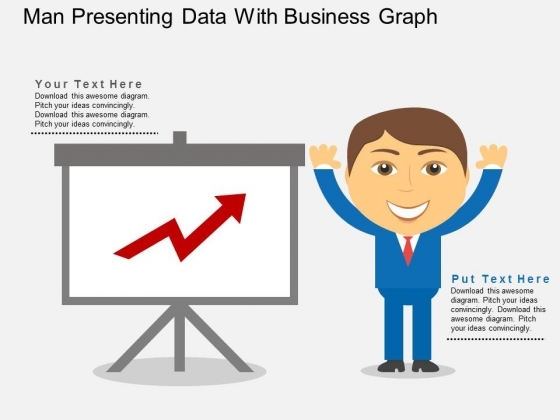 Take the plunge with our Man Presenting Data With Business Graph Powerpoint Templates. Success will surely ensue. This PowerPoint has been designed with board of think different text. This diagram has been designed to make impressive presentations. This professional slide helps in making an instant impact on viewers. 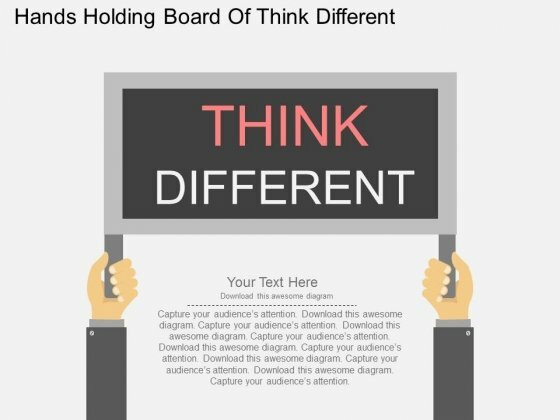 Take the plunge with our Hands Holding Board Of Think Different Powerpoint Templates. Success will surely ensue. 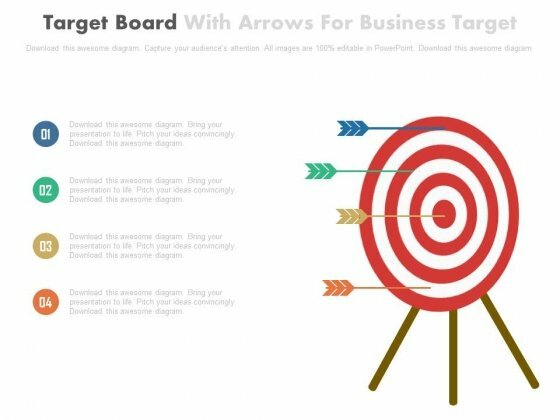 This PowerPoint template has been designed with graphics of four arrows on target board. You may use this PPT slide to display four Steps for successful goal setting and achievement. Impress your audiences by using this PPT slide. 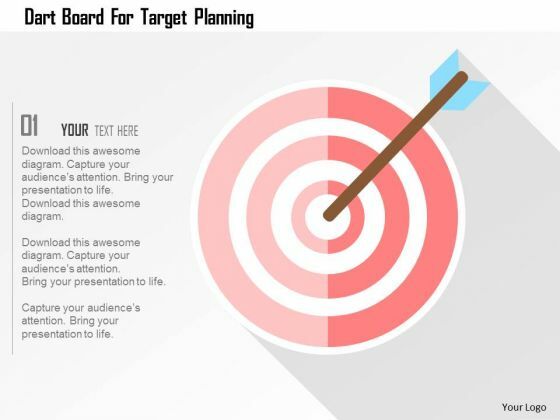 Take the plunge with our Four Arrows On Target Board Powerpoint Slides. Success will surely ensue. This PowerPoint template has been designed with target board with arrows of idea plan and vision. This PowerPoint template may be used to display target planning. Prove the viability of your ideas using this impressive slide. 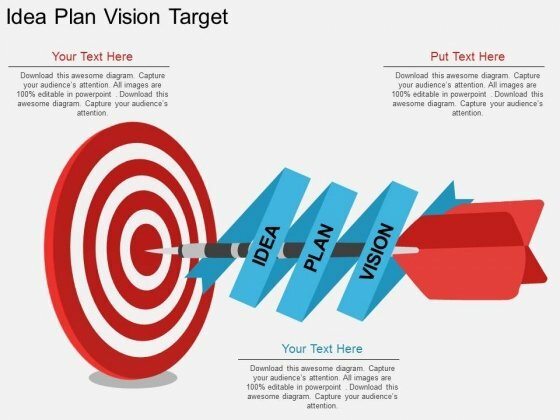 Take the plunge with our Idea Plan Vision Target Powerpoint Template. Success will surely ensue. The above template displays a diagram of arrow on target board. This diagram has been professionally designed to emphasize on concept of success and strategy. Grab center stage with this slide. Capture the attention of your audience.